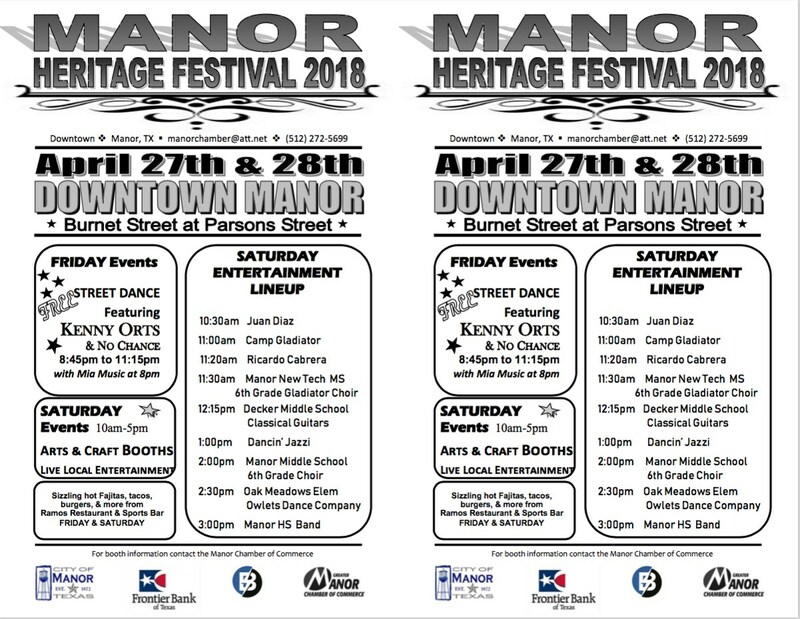 Manor Heritage Festival will be held April 27 and 28 in Downtown Manor, and manor Manor ISD students will be performing throughout the day as part of the celebration. 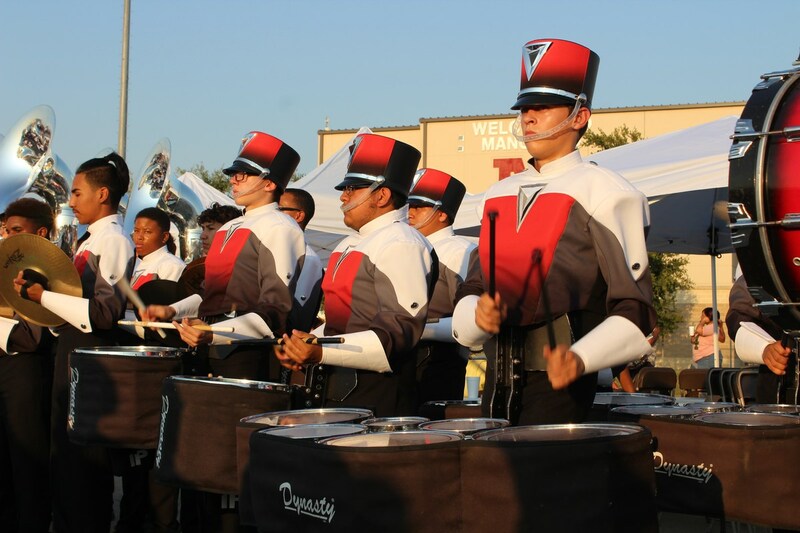 The festival will include the Manor New Tech Middle 6th Grade Choir, Decker Middle Classical Guitars, Manor Middle 6th Grade Choir, Oak Meadows Elementary Dance Owlets Dance Company, and the Manor High School Band. For specific times please see the attached flyer. The event will feature other presenters and performances including Kenny Orts & No Chance with Mia Music as well as from Camp Gladiator, Ricardo Cabrera, and more. Attendees willl also be able to enjoy arts and crafts booth, live local entertainment, food, and more. 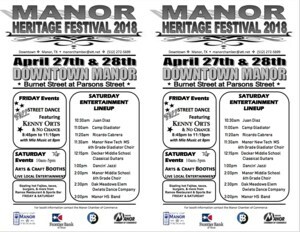 The festival is hosted by the Manor Chamber of Commerce, and questions can be sent to manorchamber@att.net.